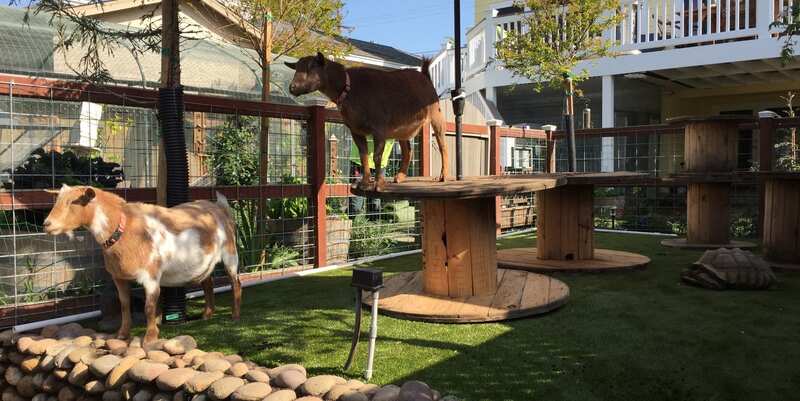 San Diego Residential Yard for Goats | ForeverLawn, Inc. 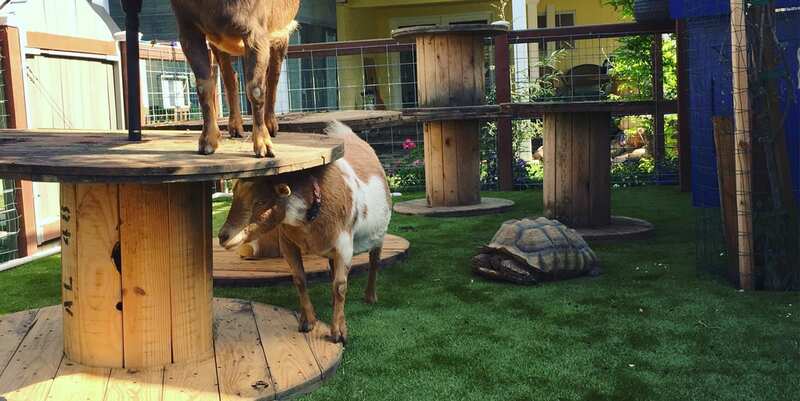 This California residence is home to some pretty unique pets—a few goats and a tortoise. The installation completed by ForeverLawn Pacific Coast displays the versatility and durability of K9Grass® by ForeverLawn®. 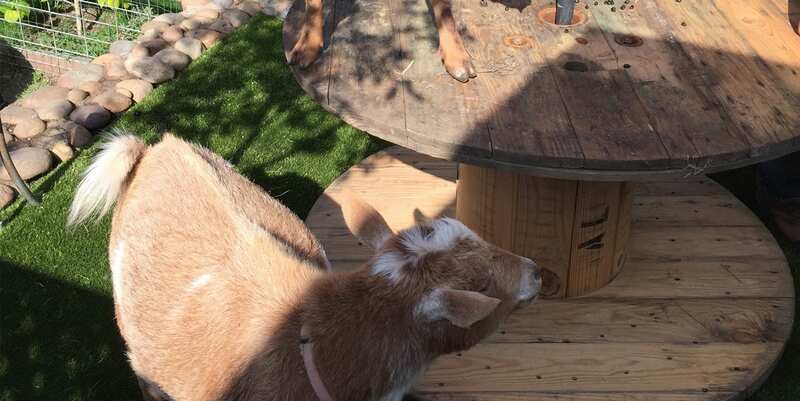 These energetic and playful goats and their tortoise brother received a complete home makeover with the addition of K9Grass® Classic. This allows them to jump and play freely without damaging the backyard, getting dirty, or hurting their feet! 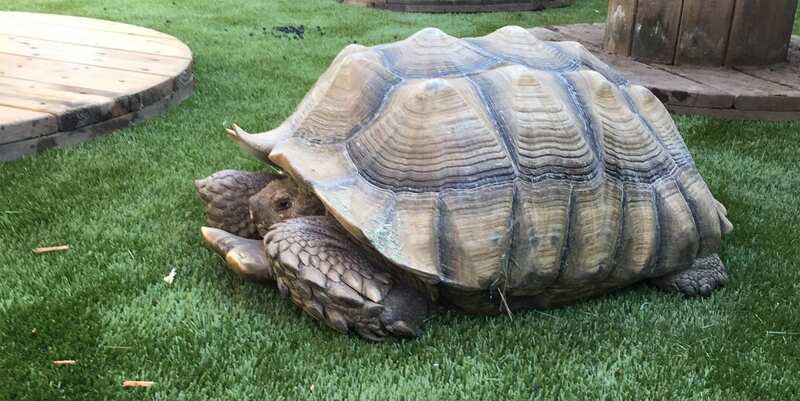 The owner loves the K9Grass because it enhances the overall atmosphere while making it incredibly easy for her to clean up after her unique, loving pets.